The four dead guards didn’t concern Mitch Rapp as much as the absence of the man they’d been paid to protect. Joe Rickman wasn’t just another foot soldier. For the last eight years Rickman had ran the CIA’s clandestine operations in Afghanistan. It was a murky job that involved working with virtually every disreputable figure in the Islamic Republic. More than a quarter billion dollars in cash had passed through Rickman’s hands during his tenure as the master of black ops and no one with a shred of sense wanted to know the details of how that money had been spent. These series are the best! George Guidall is by far the best performer for this series. He brings a tone that really let's you dig into it and feel a part of the story. 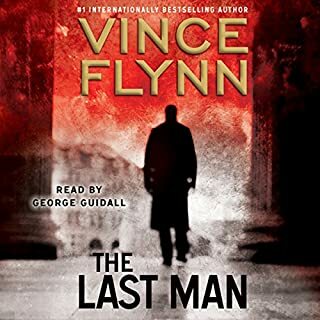 Vince Flynn is, as always, amazing - I typically burn through his books in a few days. Every time a book ends I feel a need to get another one going right away to see what's next! Cannot put these down! The Crazed are flesh-hungry monsters. 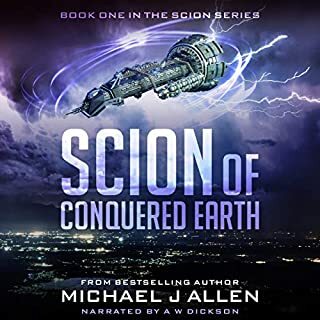 Can civilization survive...and escape from the edge of humanity? 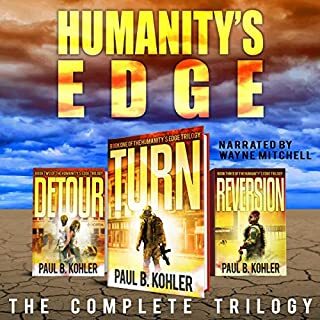 Three books of non-stop zombie action that audiences are calling "fresh" with "dollops of violence" to satisfy even the most discriminating post-apocalyptic fan. From an Amazon best-selling author. Couldn't finish it unfortunately. Didn't come close. Performance and content is subpar. I just could not get into this one. Alien fighters bombard Earth's ruins. Cannibalistic aerobics instructors hunt the wastes. The last free survivors struggle against starvation and enslavement. It's become a world where friendship costs too dearly and heroics verge on suicide. One young man can't resist either until a fed-up AI steals him off the planet. Alone with only a sarcastic, broken-down starship, he braves a whole new verse full of strange new enemies and tech he barely understands. Sarcastic ship (AI)...reminds me of other Sci-fi's I've been jumping into over the last year. This one is interesting. Starts off really weird and I couldn't wrap my brain around and couldn't get into it. Had to start and stop multiple times and really tried. Driving a lot affords me with ample time to listen and I found myself desiring to listen to other books instead. Content is good and it has good energy but I think it's the recording that ultimately did not do it justice (for me). I will probably go back and listen again on the next long drive to Miami and back. Do you think that brainwashing people only happens in movies? Do you think that taking advantage of the subconscious mind is something only crazy people would try to do? The truth is, as human beings we’re imperfect. We have weaknesses. And if you study and get to know these weaknesses you’ll have a huge power in your hands. 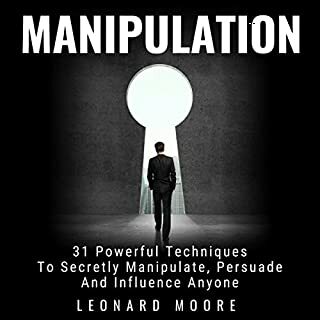 When you master the right manipulation techniques, the real ones, it is completely possible to influence other people’s thinking and make them do what you desire. Personally I struggled to finish as the narration did not strike a chord with me. Quick History of Stoicism, Learn Unbiased Thinking, and Improve Your Life! 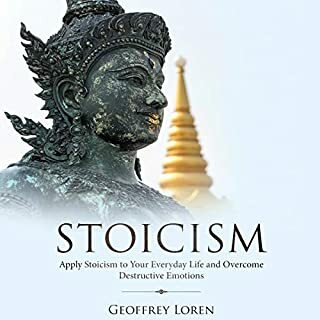 In this incredible audiobook, you will learn the secret to applying Stoicism into your everyday life. After a quick and easy walk-through into Stoic history, theology, and psychology, you will dive deep into learning key methods of Stoicism that you can implement today to give you real results. Thought provoking. Too many times do I personally blame others, automatically even though I intend not to do so. Always retraining my brain to not blame. Stoicism can be applied to many areas. I do not believe there is a need for work/life balance. I believe it's a need to understand how to have both work together to provide health and objectivity in general. Terrax Prime is one of the safest places in the galaxy, a world-spanning metropolis built on the foundations of order, justice, and law. Terrax also happens to be a birthplace of heroes; humans born with powerful, world-altering super-powers. In service to the prime government, these heroes work to keep the streets of Terrax safe, acting as the world's super-hero police force, or so it seems. 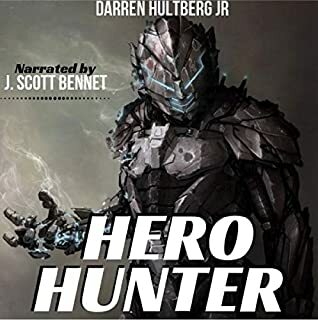 Terrible secrets lie deep within the core of Terrax Prime’s hero program, and one man will do whatever he can to bring those secrets to the surface..
Have to be honest...storyline I think is fine and I'm sure I would have enjoyed it more if it wasn't for the performance itself. I would imagine that having a "muscular frame" would include a voice that exudes strength of the character himself. I would have selected someone that is able to properly convey what I think the author had intended. Performance was less than desirable unfortunately. 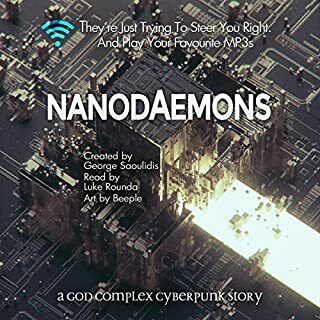 When an ordinary guy’s implanted devices are reset after a construction accident that costs him his arm, the daemons in charge of his electronics are just trying to do their job as usual. But will they manage to keep their user happy and alive, when every bit of info they uncover becomes another part of a mystery, when it becomes clear that someone is framing him for murder, and when a corporation is sending a snake charmer assassin after him? 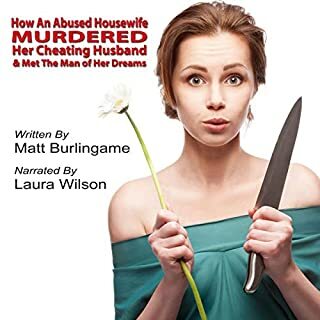 After wading through the first couple of chapters I was intrigued to finish the audiobook. It's definitely worth listening to on a long road trip. Jessica Kenner knew her 11-year marriage was far from perfect. But through it all, she had always felt that she and her husband, Charley, were a team. Until the day she found out about Betty, Charley's mistress. That was the day she made Charley pay for every lie and every rotten, underhanded, abusive thing he had ever done to her. But even lying dead on the basement floor, Charley was still a thorn in her side. A bottle of vodka, a quality set of carving knives, and 24 hours later the only question left was... what to do with his head? But not for Charlie. He came to an unfortunate end. It is the phone call every person lives in fear of receiving. There has been an accident and your loved one is paralyzed. A spinal cord injury is the single most devastating and life altering event. Based on a true story, Michael and Donna were young, successful, in love and planning their life together. That life was radically changed by a tragic car accident. 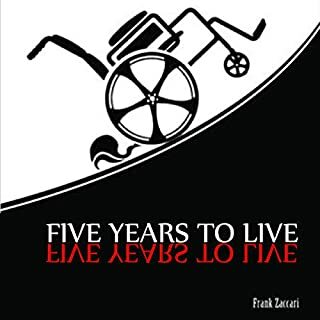 Now a wheelchair user as a quadriplegic, with limited movement, constant infections and multiple surgeries, doctors projected Michael's best case life expectancy to be five years. See how this young man battles through his injury and spends his five years making a lasting impact on hundreds of people. It will make you realize what can be accomplished when a person does not let circumstances dictate their life. When Max Krupin - Russia's leader - discovers that his kidney cancer has spread to his brain, he's determined to hide his diagnosis. He begins by getting rid of anyone threatening to him - as well as creating chaos in the region to keep the world's attention diverted. Soon, Krupin's illness becomes serious enough that he needs a more dramatic diversion, prompting him to invade the Baltics. Desperate to understand what's causing Krupin's unusually erratic behavior and Russia's aggressive moves in the region, America begins working with Russia's disgraced prime minister to stage a coup. 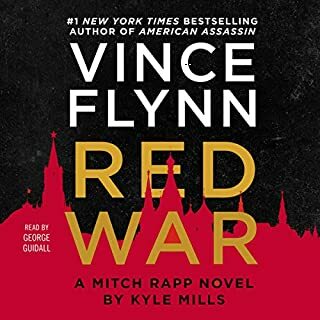 This was not a Mitch Rapp novel! He's a tag-along. Amazing and insightful on just how quickly life, politics and the world can change in an instant. While most are focused on just about everything that doesn't matter, some are working diligently to change and gain everything and even willing to destroy to it all to do so.